A new project has been presented to the public by the extreme designer Donald Starkey. 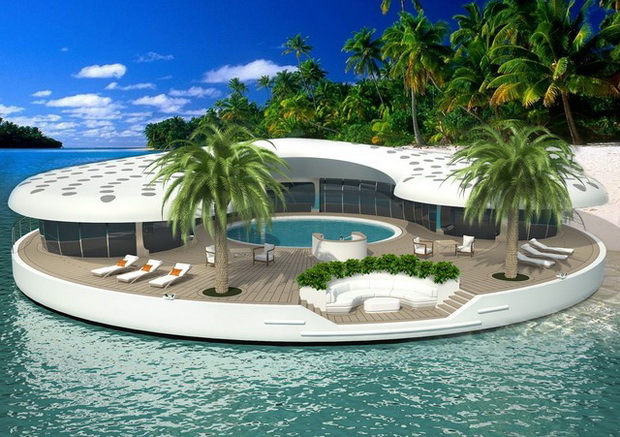 Unlike anything else designed by him so far, or even by anyone, in collaboration with Atoll Floating Islands LLC, this project is meant to reinvent the meaning of the word “home”. 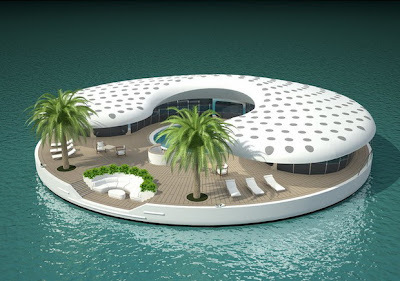 The purpose of the project, named ‘Ome, has been changed in order to comply with the Dubai archipelago, and was later designed to act as a self-sustained floating villa to come in aid for the maintenance and irrigation for island owners. The buildings are planned in a monocoque style, with a central seawater pool and five bedrooms around it. Being self-sustainable, it auto-provides water, waste management, infrastructure and irrigaton support to its World Island. 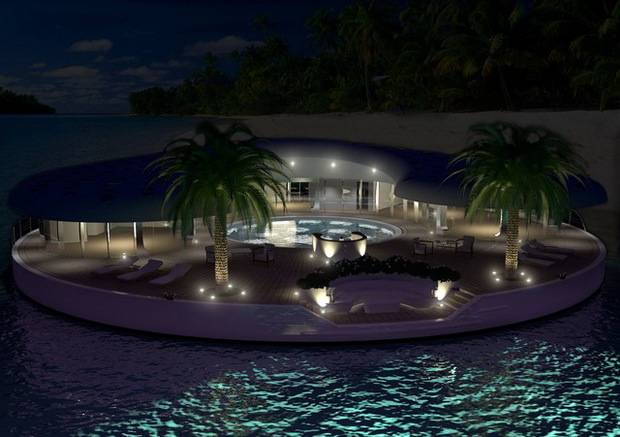 These homes are designed in such a way that moving them with a barge to any chosen island of the World is a possibility. The sales are foreseen to start in 2013/2014, and the construction of the first ‘Ome will be begun in 2012. They will be sold fully-equipped, with customizable luxurious interiors and breathtaking surroundings. We are looking forward to hearing from this project soon, provided that luxury and style are our main goals. The first ‘Ome will be available in a 32m diameter form, with an upper and lower deck configuration, five bedrooms, a large open planning living area and a central swimming pool which is around 10m in diameter. The total living usable living space of one of these floating villas will be more than 1,400 sq m.